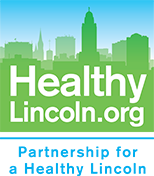 The Community Health Endowment of Lincoln exists to make Lincoln, Nebraska, the healthiest community in the nation. To achieve our vision, CHE invests in health-related nonprofits and agencies; works to ensure a strong healthcare safety-net and access to quality, coordinated care and medical homes; promotes healthy and active living; and convenes the community around important health issues. CHE is a municipal endowment created as a result of the sale of Lincoln General Hospital. Since our inception in 1998, CHE has given nearly $20 million in grants back to the community. CHE emphasizes building on Lincoln's strengths, serving those at highest risk for the poorest health outcomes, and pursuing effective community collaborations.